Patients waiting in line outside the Consejo Salud de Andino Rural for free exams and treatment. A nurse doing an annual checkup. The medical team generally spends generously for the care of children and other patients seen in the clinic. This is necessary because there is very limited government funding for medical and surgical treatment, especially complicated cases. Dr. Pamela Ferry attending to her first patient of the morning. A volunteer checking out the X-ray facility. Samantha and Andy working on new clinic construction. Construction in progress for the clinic. Original structure was in tact, but a redo was necessary for the interior. A young family member helping with the construction of her new house. This is the family's original home before construction began. 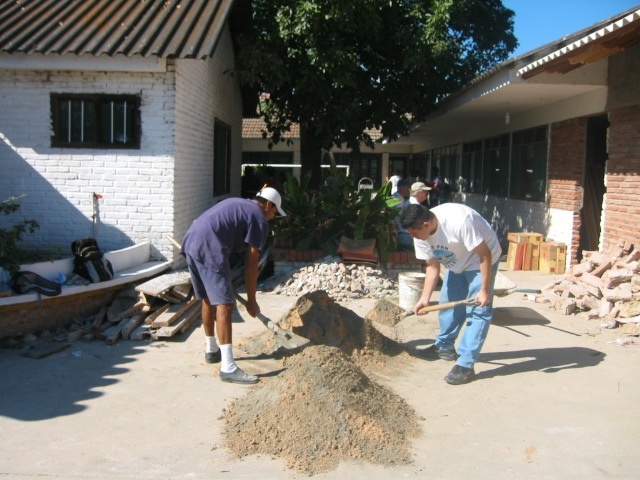 New construction in progress at the Guaraní village. 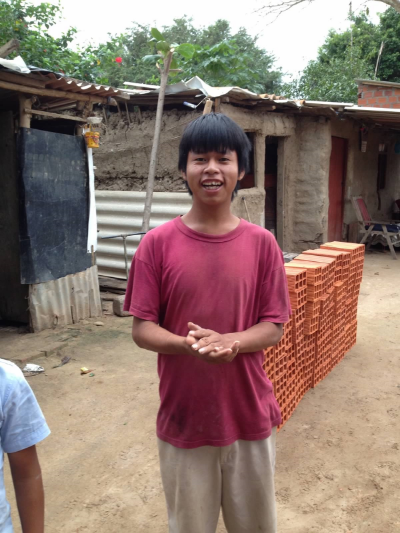 Money is raised throughout the year to build new homes. 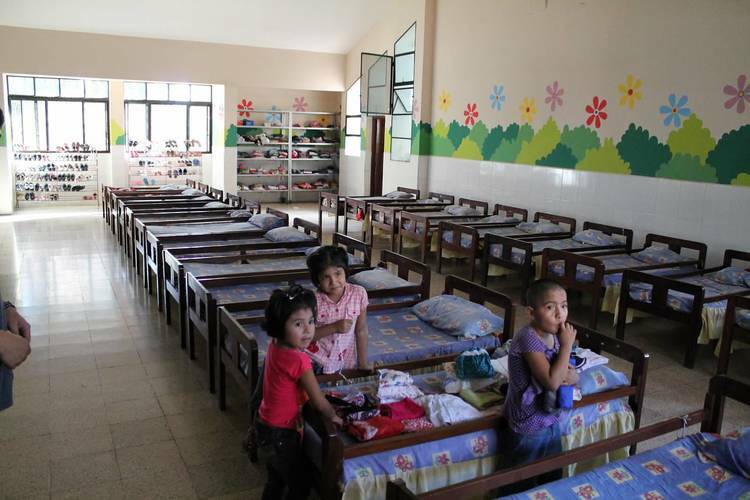 The orphanage, Hogar Sagrado Corazón, is a home for approximately 112 girls, ages infant to eighteen. Sleeping quarters for the younger girls. 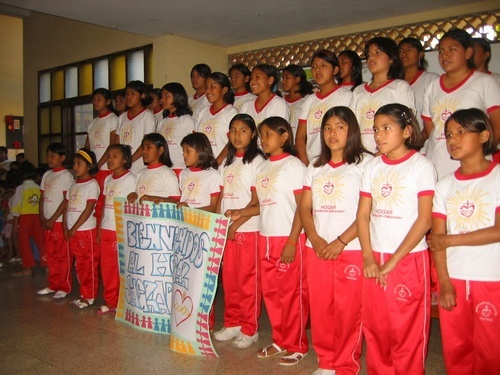 At the orphanage, the older girls are responsible for taking care of the younger ones. A volunteer playing with girls at the orphanage. Volunteers and children outside of the orphanage which is located next to the Catholic church. Sister Maria Theresa oversees the operation of the orphanage and lives on the premises.